With auto loan rates as low as 3.19% APR*, for a 3, 4 or 5 year term, you’ll enjoy a new car and a low payment. Click the learn more to apply and to view complete disclosures. Offer ends June 30, 2019. Get the toy you want. Boats, ATVs, motorcycles and more. Plus, enjoy rates as low as 3.99% APR for a 3, 4 or 5 year term. Offer ends June 30. Click the learn more button for complete details and disclosures. 3.19% 4.09% 8.90% Call for current rates. Auto loan rates include a .25% discount for autopay from a Heartland Checking account or payroll deduction. Visa rates are variable and subject to change semi-annually and based on credit history. Access a variety of Heartland applications and forms. Membership is open to Dakota, Scott, Rice, Le Sueur, Carver, Hennepin, Ramsey and Washington, MN counties. Plus, to the employees and retirees of a variety of companies. Learn more and join today. Apply for a loan, credit card or transfer a credit card balance in minutes using our secure online applications. Learn about our community involvement, financial education and more. Police departments and colleges have sent out warnings in several U.S. cities, warning Venmo users about a security oversight that could cost them a lot of money in just a few seconds. Read the complete article and how you can protect yourself. October 22, 2018 – The Acting Inspector General of Social Security, Gale Stallworth Stone, is warning citizens about an ongoing caller-ID “spoofing” scheme misusing the Social Security Administration’s (SSA) national customer service phone number. SSA has received numerous reports of questionable phone calls displaying SSA’s 1-800 number on a caller-ID screen. This is a scam; citizens should not engage with these calls or provide any personal information. 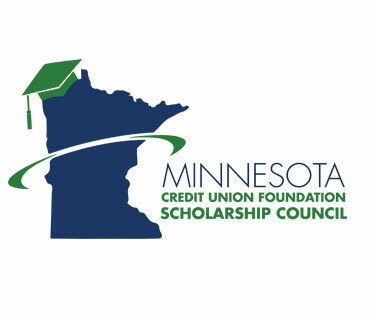 Cut the cost of college and apply for the Minnesota Credit Union Foundation Scholarship, exclusive to members of Minnesota Credit Unions. Two $2,000 scholarships and eight $1,000 scholarships are available. Application deadline is November 30, 2018.